Hi girls, Welcome back! 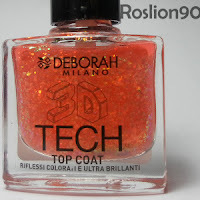 In this post I'll show two top coat by Deborah Milano! 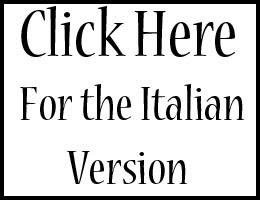 A very valued Italian brand. I've already published a post about it on my blog in Italian, noting the popularity of the topic I wanted to post it on this blog! 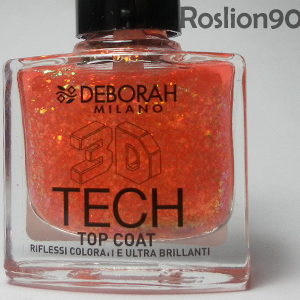 Well, let's talk about these top coat designed to donate to the nails the 3D effect given by the immense number of glitter particles of different shapes and colors. 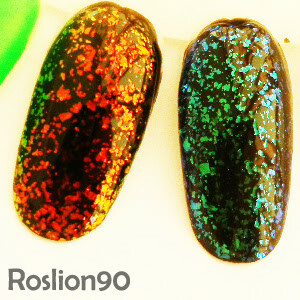 The number 101 is a bright orange that has some crazy shades that remind me volcanic lava! The number 102 is a light blue / purple that reminds me a starry sky. Due to the presence of particles of Silica create a result holographic and virtual nail. Under these glazes can match any color, but the one I like more, which highlights the glitter is matt black. The content of the flask is 8.5 ml, the applicator is very convenient and duration on the nail is good (5 days). The launch price is € 7.90 (in Italy), but can also be found at a lower cost in promotion. I feel really satisfied! Council all have at least one of these top coat in your collection!